We want to draw your attention in today’s post to this excellent iPad app that is free now for a limited time. 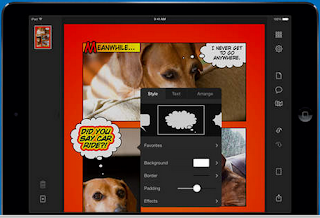 Halftone 2 is a very good comic book creator app that you can use with students to create comic and scrap books using photos and sound effects. The process of creating a comic book using Halftone 2 is simple and easy: Choose a page layout from the selection provided there, then import your photos from your photo library, Facebook or Flickr. Customize the look of your images using Aviary’s photo editing tools that include things such as automatic enhancements, filter effects, brightness, contrast, saturation, sharpness, redeye, whiten, blemish, and selective focus. You can also add captions and speech bubbles to your photos or choose from over 80 professionally-designed graphical shapes. 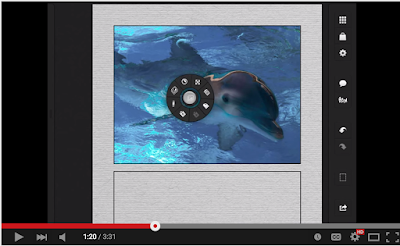 Next, mix in some sound effects then share your creation as an image, multi-page document, or high-definition video.